The lungs of two fossorial rodents, the mole ratTachyoryctes splendens and the naked mole ratHeterocephalus glaber were investigated by transmission and scanning electron microscopy and a comparative morphometric analysis of the lungs carried out in an attempt to find out whether there are any possible structural adaptational features which may be associated with fossoriality. The data from these two ecologically disparate fossorial rodents were compared with those of surface dwelling rodents on which equivalent data are available. Morphologically, the lung ofT. splendens is essentially similar to that of terrestrial mammals while that ofH. glaber shows features of underdevelopment. InH. glaber, a cuboidal epithelium extends down the respiratory tree to line what appear to be alveolar spaces, the blood capillaries constitute a double capillary system and the type I pneumocytes have microvilli on their free surface. Morphometrically,H. glaber has notably lower values indicative of rather unspecialized lungs. While the volume density of the parenchyma is 88% inT. splendens, that inH. glaber is only 76%. The blood-gas (tissue) barrier inH. glaber is notably thicker than inT. splendens. When normalized with body weight, the surface area of the blood-gas (tissue) barrier, the pulmonary capillary blood volume, the diffusing capacities of the tissue barrier and of the whole lung are consistently appreciably lower inH. glaber. When compared withMus musculus, Rattus rattus andCavia porcellus, T. splendens has somewhat comparable values with the surface dwelling rodents but the values ofH. glaber are the lowest in the group. It is suggested thatT. splendens has not undergone full adaptation to fossoriality as is supported by its behavioural activities, particularly those of occasionally surfacing to feed and making overland excursions. The low values ofH. 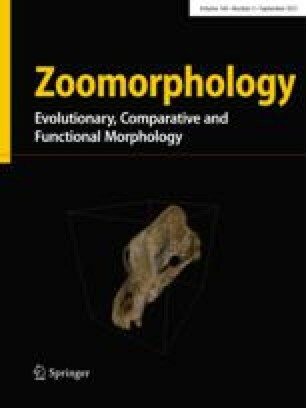 glaber may be commensurate with its extreme physiological adaptations for fossoriality, features which culminate in low basal metabolism and may in part explain paedomorphic traits of its respiratory system.